For the final #3 photo series of my recent trip I’ve captured some more fowl and fur in digital goodness. 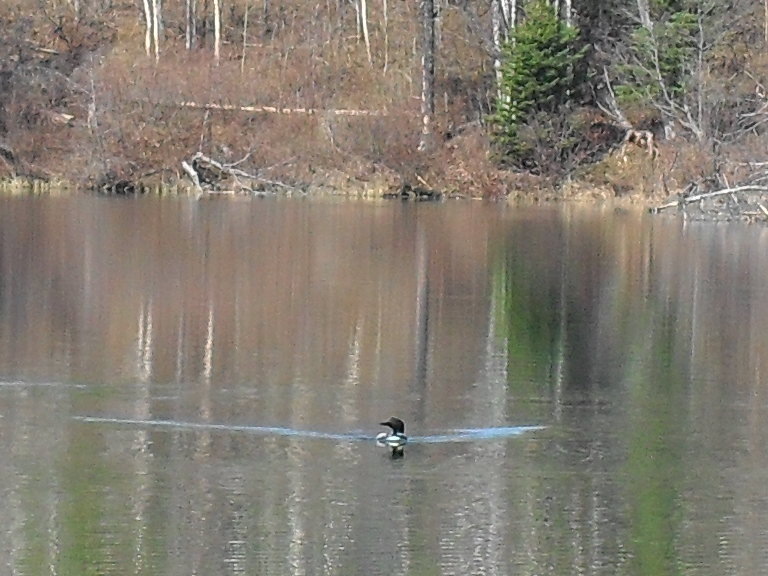 I saw a pair of loons come floating along the treeline to my left while out at the lake. 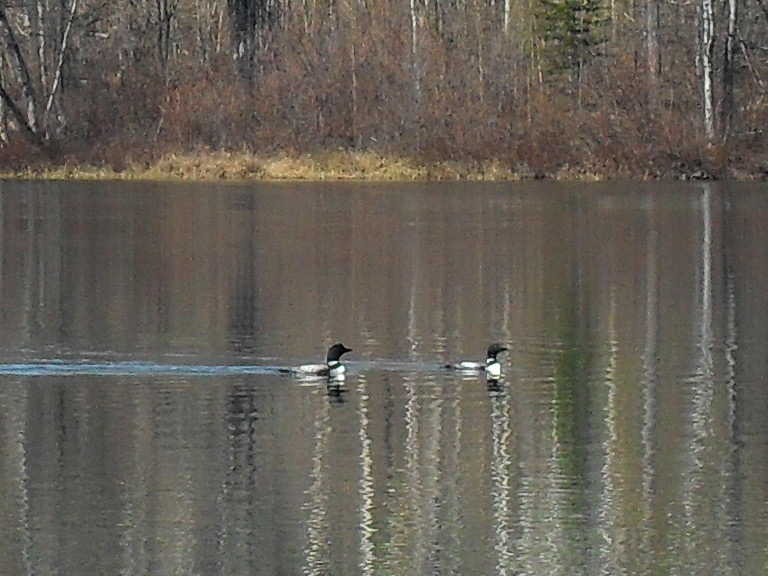 I started calling to them, (isn’t that what one does with loons? Poorly imitate them?) 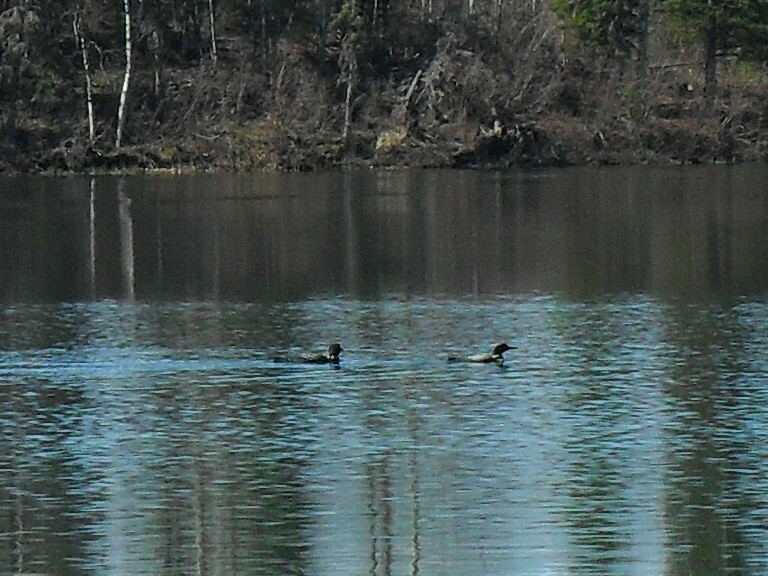 and then got some calls back from another pair that were comming from the left side. I think they were wondering what the heck I was saying, or trying to place my looney accent, so decided to come a bit closer to have a look, much to my camera crazy glee. Bird in front: Wow, honey. That shore bird’s loonish is terrible! Where did they learn to woo-ooh-woo-ooh? Bird in back: Just keep going dear, it isn’t polite to stare. Bird: Huh. Hey guys, I don’t think it’s a bird. Bird in back: Well I’ll be. It is a smoothskin. And I thought they didn’t speak loonish. I then was given the option of finding out the secret of why the Canadian goose crosses the road, apparently it has to do with getting to a puddle, slew, duggout, watery area? pond on the other side. 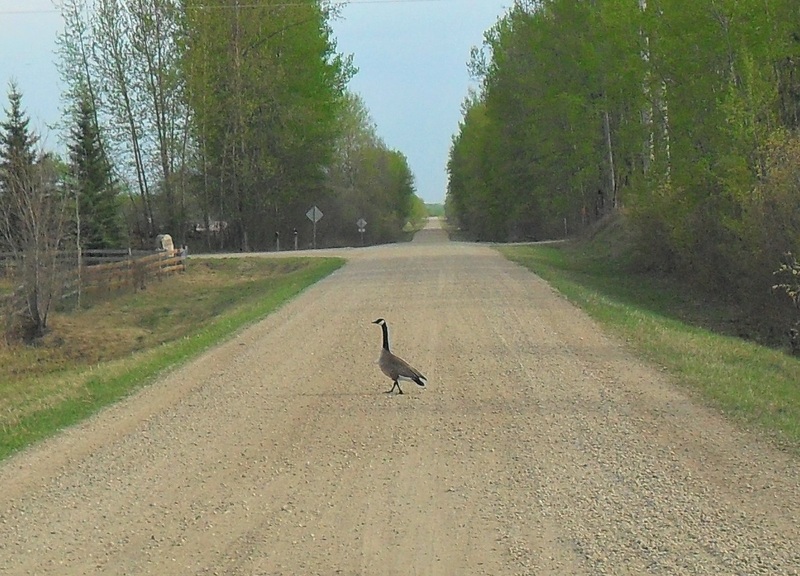 Canadian Goose: Why did I cross this road? The final furry pic was taken by my partner after a bear crossed the deserted highway in front of us while I was driving. 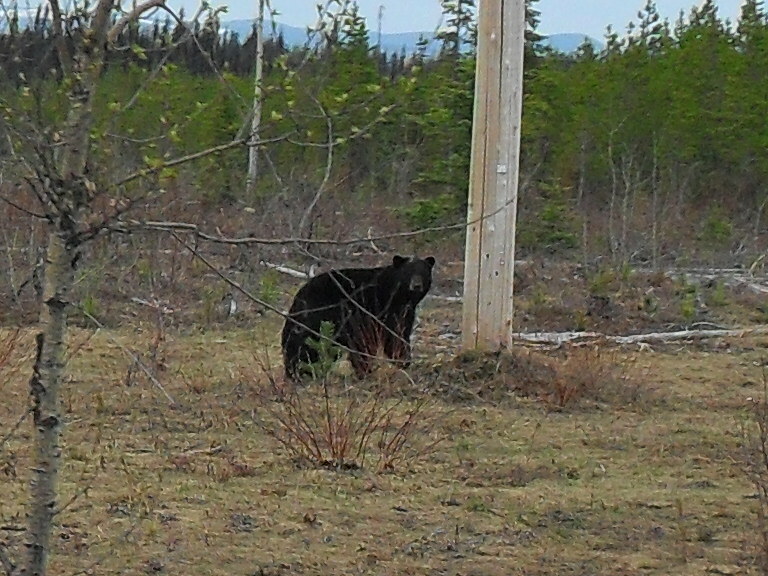 I slowed down just enough for them to snap this great shot, which may have come about as the bear was wondering why the heck we stopped and stared at him. Since this is my first live bear sighting in the wild I was so happy with the result, I’m thinking I might finally have found a picture for my gavatar! Bear: It’s not polite to stare….what, do I have a burr on my nose? 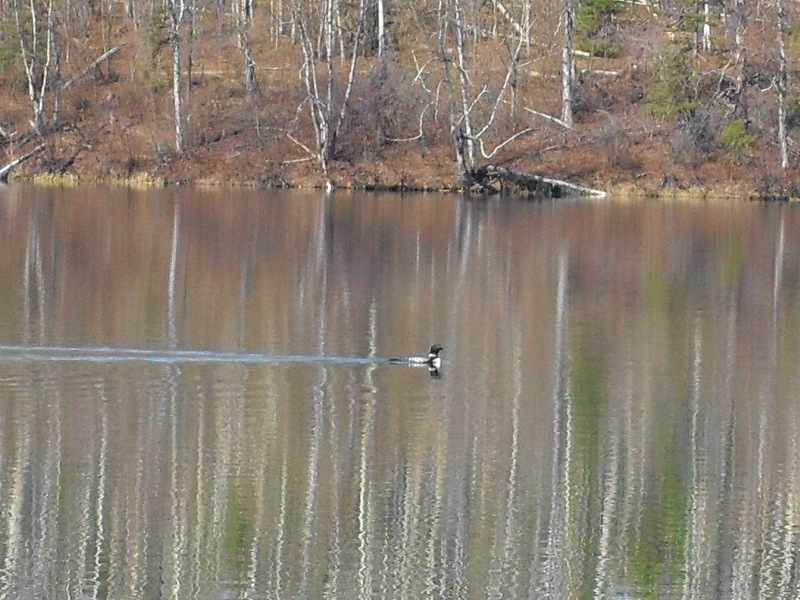 This entry was posted in Animals, humour, Photos and tagged Animals, Bear, Canadian Goose, humor, Loons, nature, Photos by livesinstone. Bookmark the permalink. We stop all the time, to let the geese cross the road, usually it’s a flock with little one’s as well. I have never wondered why they cross. Now I know. Thanks for stopping by. lol. Well. I hear the puddle is always fresher on the other side. 🙂 I love stopping for lines of baby animals following a mother. 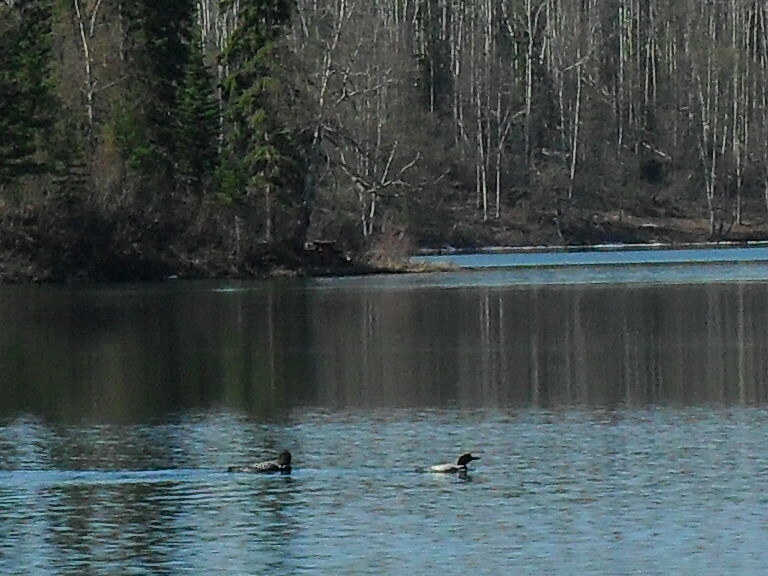 I’ve had to do it once for ducks and once, I think, for quail when I was living in a rural area. They are just so dang cute. Thanks for your comment.